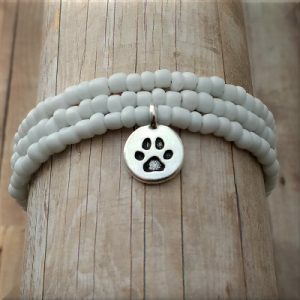 Best Friend Paw Print in Heart Pewter Charm dangles on a stainless steel chain with your choice of Austrian Crystal birthstone color. 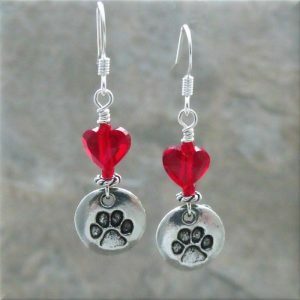 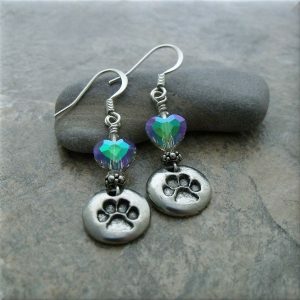 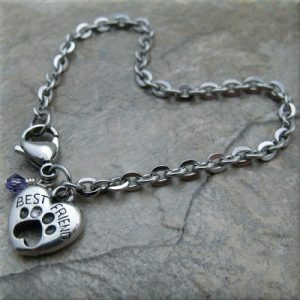 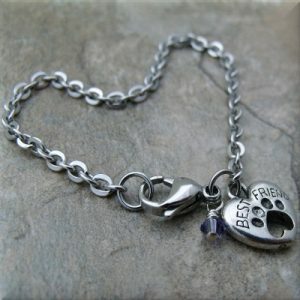 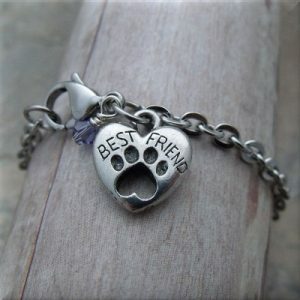 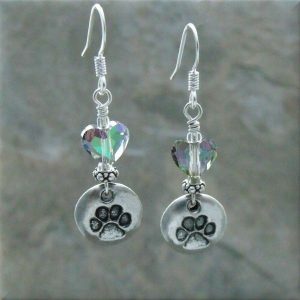 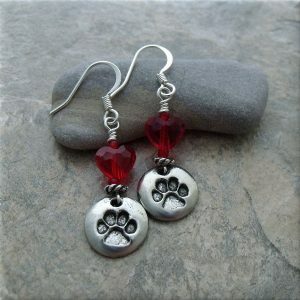 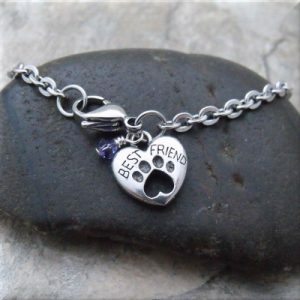 Best Friend Paw Print in Heart Pewter Charm dangles on stainless steel chain with your choice of Austrian Crystal birthstone color. 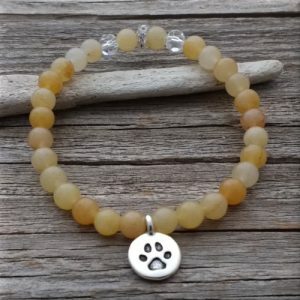 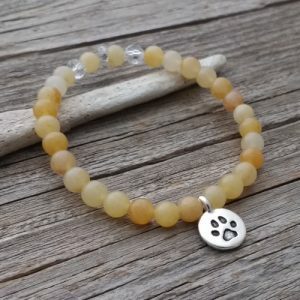 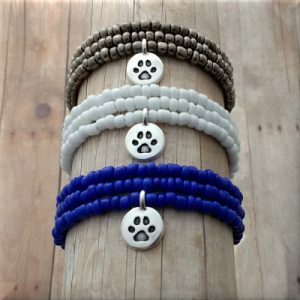 The birthstone can be yours, a friends or your fur babies!